Currency markets just won’t cooperate with Thomas Jordan. 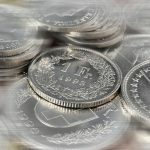 When the Swiss National Bank president repeated a warning for buyers to steer clear of the “significantly overvalued” franc last week, the impact of his words was blunted by a European Central Bank pledge to reassess its stimulus plan. Switzerland’s currency reacted by jumping the most since mid- October. Then Friday’s better-than-forecast U.S. jobs report undermined the euro and pushed the franc to a two-month high. Options traders are more bullish on the franc versus the shared currency than any major peer. The outlook for the franc underlines the challenge Switzerland faces as it tries to reverse 12 straight months of falling consumer prices. That’s being exacerbated by the euro’s renewed weakness. Pressure from speculators lured by Switzerland’s current-account surplus already forced Jordan and his colleagues to abandon a cap on the franc’s value back in January. 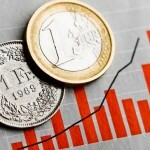 The risk-reversal rate measuring the cost of options to buy the franc versus the euro in a year’s time over contracts to sell was at 2.3 percentage points on Tuesday. While the premium has shrunk since emerging markets were in meltdown around the middle of the year, it’s still the highest among 25 major currencies tracked by Bloomberg. 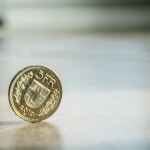 The SNB’s appetite for intervening may be limited by its increasing foreign-exchange stockpile. The central bank’s foreign reserves grew to a record 550.9 billion francs ($548 billion) in October, data showed Friday. 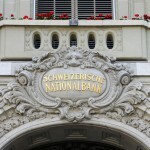 The expansion of its balance sheet leaves the SNB vulnerable to the vagaries of currency swings, and officials cited its stockpile when reporting a loss on 30 October 2015. By Lukanyo Mnyanda and Jennifer Surane (Bloomberg). Read more.